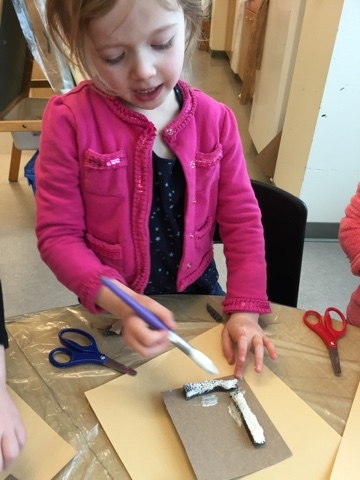 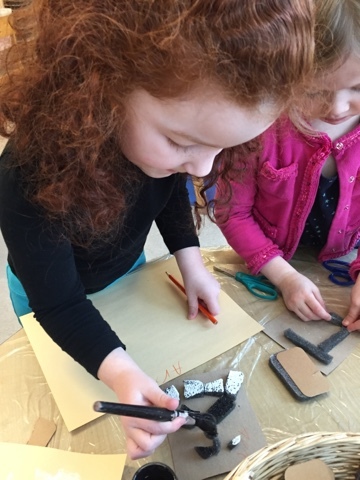 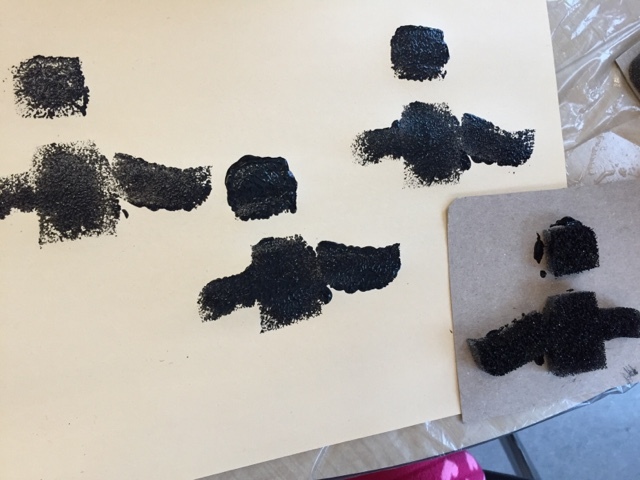 We had a maker art center today where children had the opportunity to design their own stamp and explore printmaking. 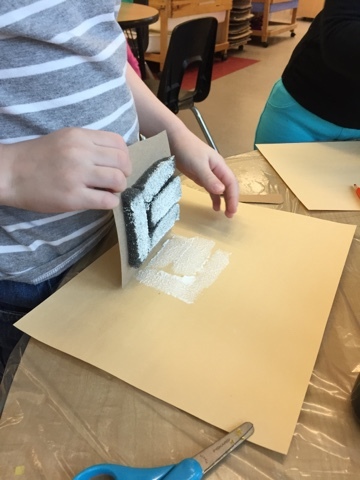 We offered sticky foam and cardboard. 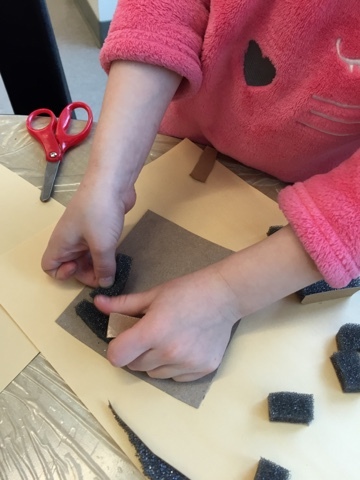 The children cut the foam into shapes and stuck it on a cardboard base. 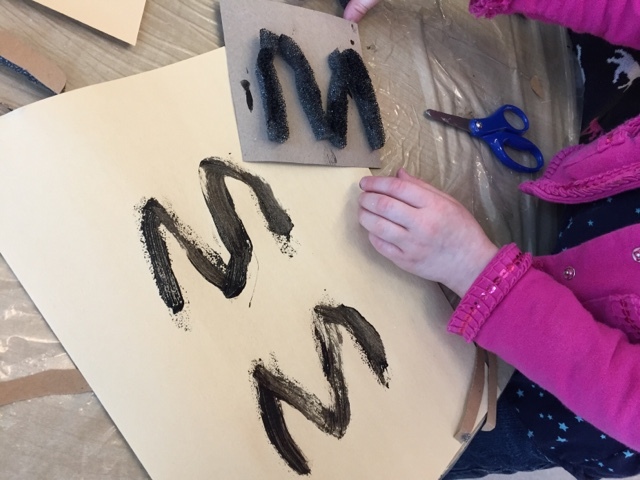 The children then painted the stamp and pressed it on paper to see what print it made. 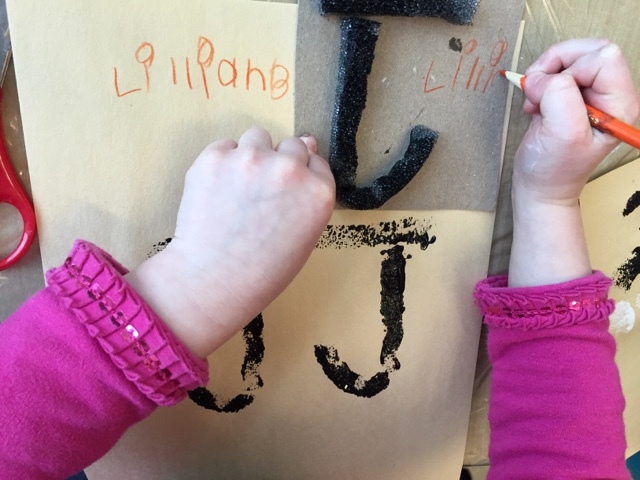 One child noticed that the stamp of her name's initial stamped backwards on the paper. 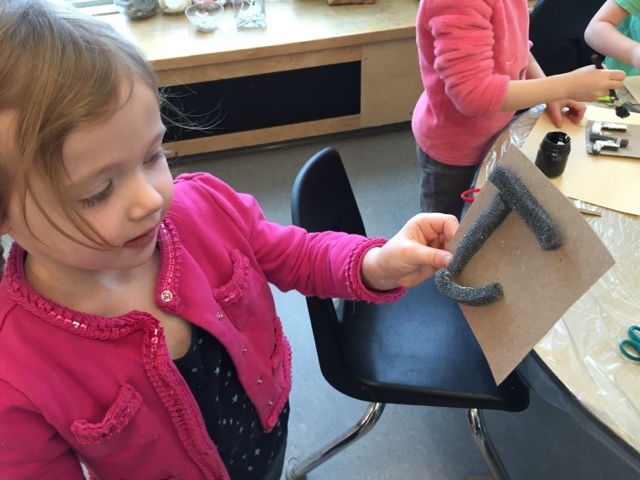 She problem solved by designing her brother's initial backwards so it looked correct when stamped. 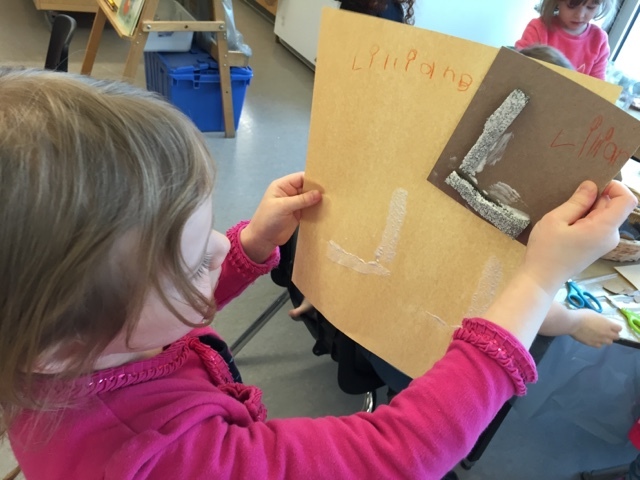 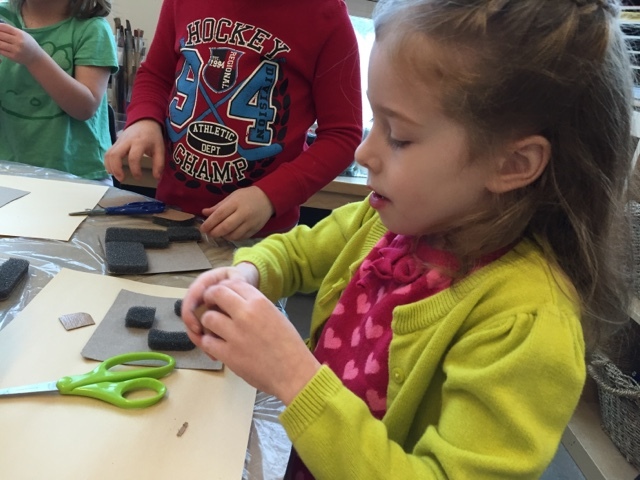 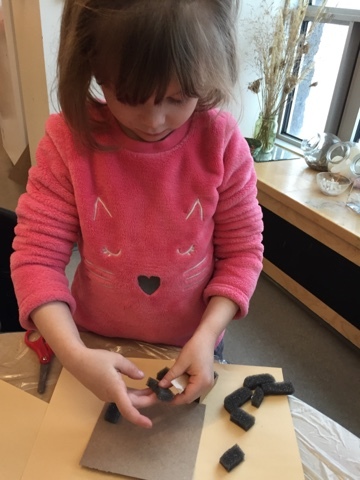 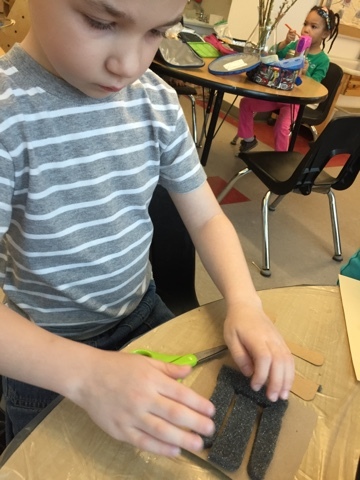 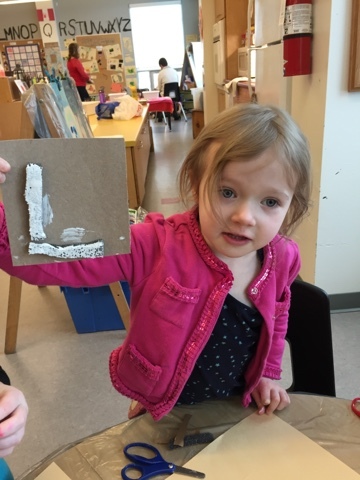 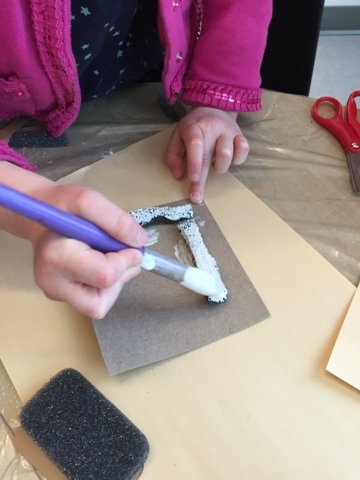 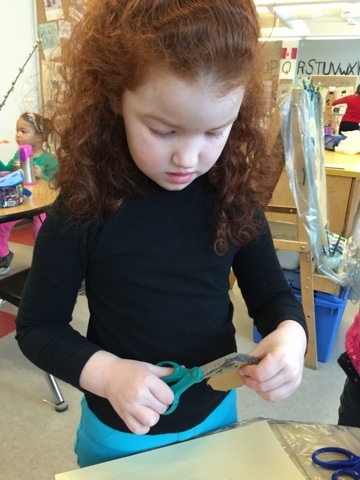 Maker spaces encourage children to build and explore with loose parts. 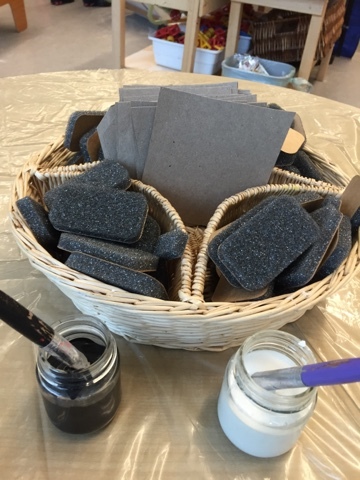 We can't wait to see what else is created here tomorrow!